Most people need a photo app on smartphone. If you search for the best photo app in App Store or Google Play Store, you can get hundreds of results. How to discover the best one or the best photo app for your smartphone is another problem. It is impossible to test and compare every app personally. Moreover, as smartphone brands increasingly improve camera technology, some high-end smartphones have equipped lens as excellent as digital cameras. That in turn drives the use of taking photos by mobile phones. Therefore, we will share the result of top photo apps based on our testing and user reports. 1. Sharpen photos by adjusting exposure, color, brightness and other photo parameters. 2. Plentiful image filters and effects to alter the style and feeling of any image. 3. Alter selected area of a picture by brush tool. 1. This photo app has an intuitive interface. 2. It is free of charge on both iOS and Android. 3. Snapseed supports non-destructive photo edit. 1. It is complicated for average people. 1. Basic photo editing tools, such as resize, crop, flip, rotate and more. 2. Plentiful photo filters and effects are available within PicsArt. 3. Photo collage feature could help users to create photo collages in any layout. 1. This photo app has a rich array of editing tools. 2. Users can import picture from wide range of sources. 1. Users have to view ads to exchange free features or pay for the ad-free version. 1. Turn smartphone to professional camera and allow you to capture pictures with manual control. 2. Offer extensive image adjustment tools and image filters. 3. Share your pictures to photography community directly. 1. This photo app is free of charge. 1. It does not provide many photo sharing options. 1. Multiple modes to capture pictures for different objects. 2. Great lenses to beautify your selfies during shooting. 3. Plentiful filters and effects to enhance and polish portrait through face recognition technology. 1. This photo app is free of charge on both iOS and Android. 2. It is a photo app for portraits with a wider range of dedicated features. 1. The face recognition feature is not stable or accurate. 1. Remove anything unwanted from your picture. 2. Erase blemish without destructing your photos. 3. Mark a section of a line to remove the whole object. 1. This photo app provides various tools to polish pictures. 1. It is a paid app in App Store; while TouchRetouch is free of charge on Google Play Store. 1. Correct perspective distortion manually. 2. Fix lens distortion on iPhones and Android phones. 3. Allow users to adjust aspect ratio of photos. 4. Provide basic editing tools, such as rotate and crop. 1. It brings advanced photography technology to smartphones. 2. The well-design features are simple to use. 1. 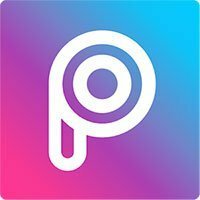 It is a paid photo app on both Android and iOS. Blending two pictures together is interesting and able to create amazing effect. Superimpose is dedicated to simplifying the process of merging pictures on smartphones. 1. You can combine two pictures together within Superimpose easily. 2. This photo app allows users to add objects on photos. 3. The gradient mask feature is able to blend two different edits of the same picture. 1. This photo app makes picture blending and picture combining simple. 2. It has various tools to make the output realistic. 1. This app ruins photo quality after blending, merging or combining. Instagram is a well-known social network; while Instagram app is not only a photo sharing app, but also a photo editor. 1. Users could edit their pictures for sharing and posting. 2. This photo app supports to share photos to various social networks. 3. You can tell stories using pictures with your followers. 1. This best photo app provides in-depth photo editing tools. 2. It allows users to set EXIF information of pictures. 1. It still only shoots square. Smartphones have limited memory space. So, cloud service becomes an alternative solution to backup and store our photos taken on smartphone. Google Photos is one of the best photo backup apps on market. 1. Users could store unlimited photos in Google Photos. 2. This photo app will organize your photos according to date, location and other metadata automatically. 3. The photo editing tools are powered by Google’s machine learning technology. 1. Google Photos is not only a photo backup service, but also a photo editor. 2. It supports face detection. 1. Its machine learning technology is not stable. Adobe is a famous visual brand and Photoshop is popular around the world. Adobe Photoshop Express brings some Photoshop features to mobile ecosystem. 1. Users could import pictures from various sources. 2. This photo app integrates advanced photo editing tools, including fixing red eye, blemish removal and more. 3. There are dozens of free filters. 1. The image-correction tools are awesome. 2. It provides user-defined filters. 1. Some features need a Creative Cloud subscription. 1. Polish your face or enhance the photos on smartphone after taking selfies. 2. Write funny words on the photos with various fonts, colors, and styles. 3. Make a photo collage with personal photos on iPhone easily and quickly. 4. Use tons of overlays and stickers to make your photos special before posting on social media. 5. All the features are free to charge without any ads or other annoying pop-up messages. Taking photos at night is a big challenge for mobile users, because only the latest version has equipped photoflash. Cortex Camera appears on the best photo apps list, because it could help you to take sharp night-time photos and turn smartphone to professional camera. 1. This photo app has the capacity to capture sharp photos in low light environment or at night. 2. It is able to capture multiple photos and blend them together to create a sharper photo and get rid of noise. 3. The embedded stabilization feature is very impressive. 1. Millions of photo effects, overlays and filters are available to all users and their photos. 2. You can create a photo collage with different backgrounds, layouts and spaces. 3. The Auto Fix feature could help you to balance out color easily. 4. After enhance, you can share photos to social network within this photo app directly. Photo collages are a good way to tell stories with multiple personal photos. And this best picture app provides tons of tools to help you create a perfect photo collage. 1. You can use hundreds of stickers, backgrounds and templates to create unique photo collages. 2. This photo app allows you to enhance your photos before making photo collages. 3. After making photo collages, you can share them on social networks or print at home within this app. Selfies has become a prevalent activity on smartphone. And some dedicated photo apps could help you to beautify your portraits easily, like BeautyPlus. 1. This best photo app is able to erase blemishes from your portraits and make your skin smooth. 2. You can brighten your eyes, whiten your teeth and change your eye color with this photo app. 3. There are dozens of filters and effects available to make you more beautiful. Based on the introductions above, you might grasp your favorite photo app and its basic features. As smartphone manufactures continuously improve camera technology, more and more people use smartphone to replace digital cameras. Various photo apps are another advantage of smartphones. With these best photo apps, you can enhance your photos, create photo collages, make your selfies perfect and share them with others. If you are looking for a best photo app for your smartphone, you can choose one among the best photo apps lists introduced above based on your requirements.